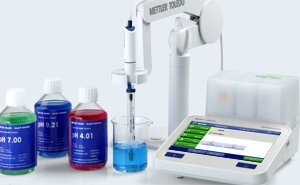 Correct and accurate pH measurements depend upon reliable instruments and electrodes. Right equipment selection, handling and maintenance are crucial for obtaining optimum results and prolonging instrument lifetime. 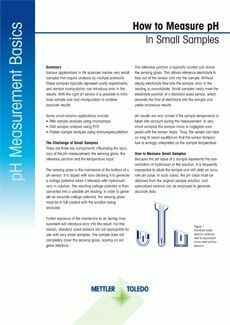 Download the free pH Theory Guide and learn the basics of correct and accurate pH measurements. Get smart tips and hints from our pH experts for your daily work in the laboratory and field environment. Why do we classify an everyday liquid like vinegar as being acidic? The reason for this is that vinegar contains an excess of hydronium ions (H3O+) and this excess of hydronium ions in a solution makes it acidic. An excess of hydroxyl ions (OH–) on the other hand makes something basic or alkaline. In pure water the hydroniumn ions are all neutralized by hydroxyl ions and this solution is what we call at a neutral pH value. Figure 2. Dissociation of acetic acid. Not every acid is equally strong. Exactly how acidic something is, is determined by the total number of hydrogen ions in the solution. The pH value is then defined as the negative logarithm of the hydrogen ion concentration. (To be precise, it is determined by the activity of the hydrogen ions. See chapter 4.2 for more information on the activity of hydrogen ions). Figure 3. The formula for calculating the pH value from the concentration of hydronium ions. 1.2. 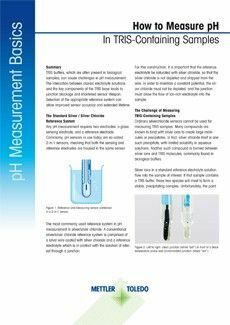 Why are pH values measured? 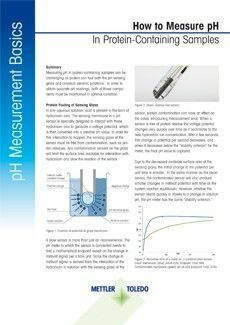 For optimal pH measurements, the correct electrode must first be selected. 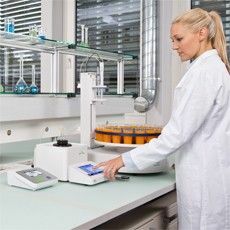 The most important sample criteria to be considered are: chemical composition, homogeneity, temperature, pH range and container size (length and width restrictions). 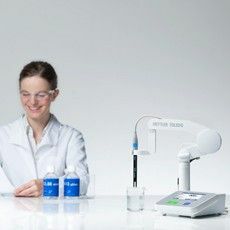 The choice becomes particularly important for non-aqueous, low conductivity, protein-rich and viscous samples where general purpose glass electrodes are subject to various sources of error. The response time and accuracy of an electrode is dependent on a number of factors. 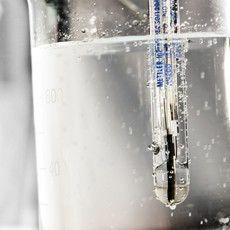 Measurements at extreme pH values and temperatures, or low conductivity may take longer than those of aqueous solutions at room temperature with a neutral pH. The significance of the different types of samples is explained below by taking the different electrode characteristics as a starting point. 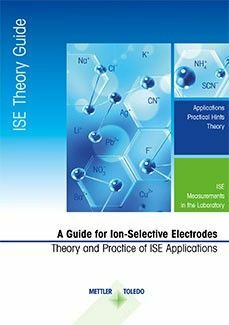 Again, mainly combined pH electrodes are discussed in this chapter. Figure 14. Electrode with ceramic junction. slowly flow out of the electrode, but stops it from streaming out freely. is shown below in figure 14.
a more fundamental understanding of pH theory. 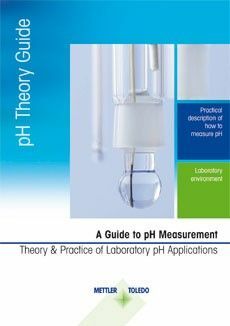 First the basic pH theory is developed, then we will have a look at the sensor theory and at the end some special topics will be dealt with. From the equation we can see that if the H3O+ ion concentration changes by a decade, the pH value changes by one unit. This nicely illustrates how important it is to be able to measure even small changes in the pH value of a sample.